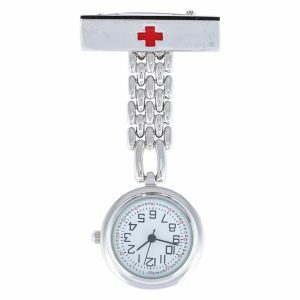 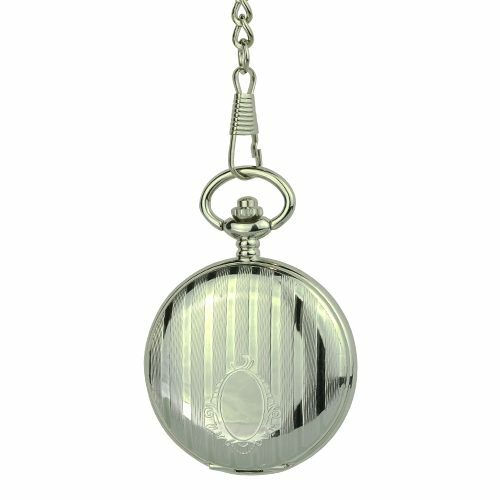 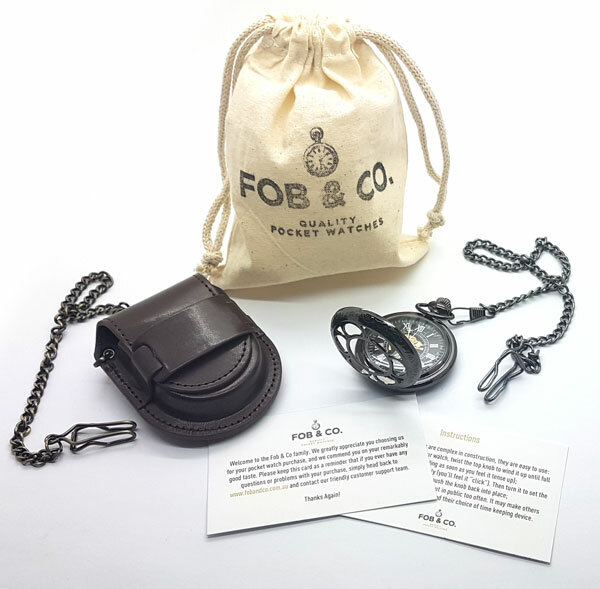 Striped Emblem Double Sided Pocket Watch - Fob & Co. 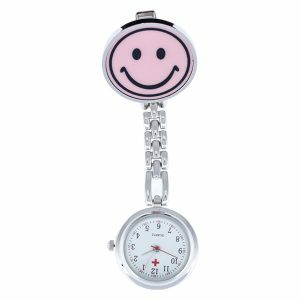 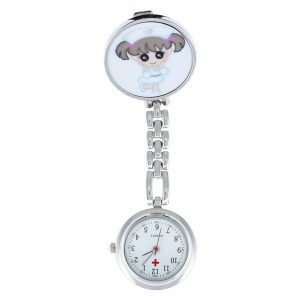 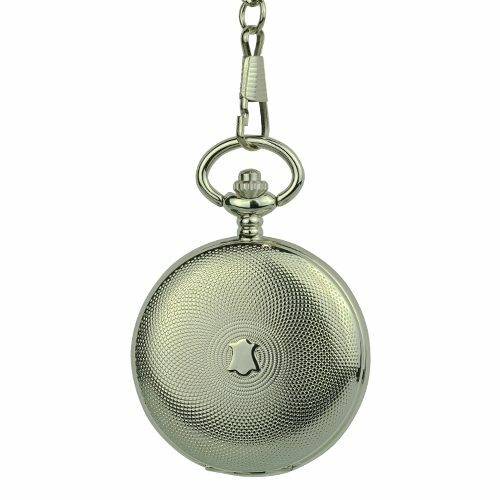 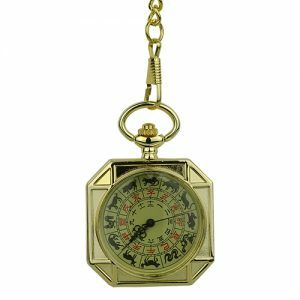 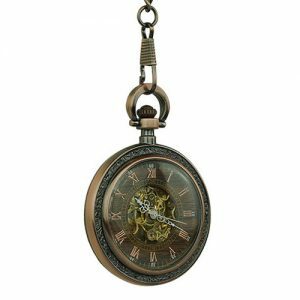 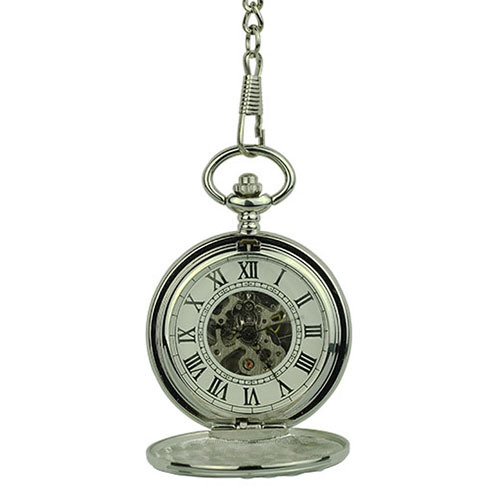 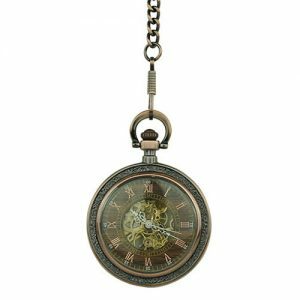 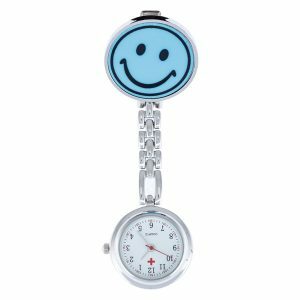 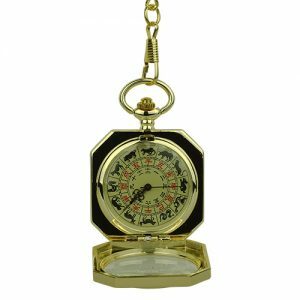 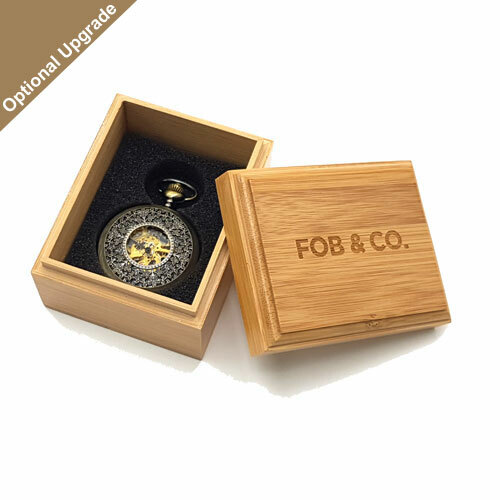 Enjoy the look of a fine timepiece with any outfit when you adorn yourself with this handsome pocket watch that features overlapping spheres on the cover. 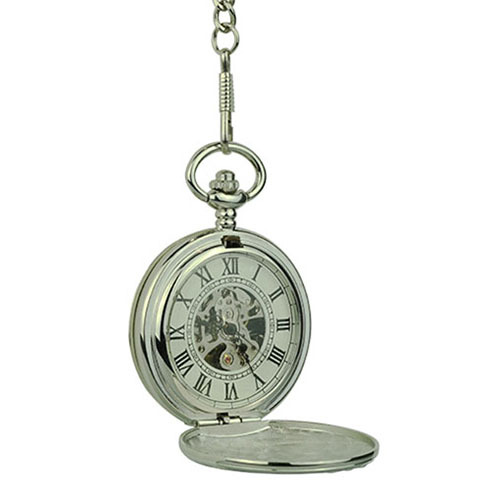 The interior has black Roman numerals against a white background. 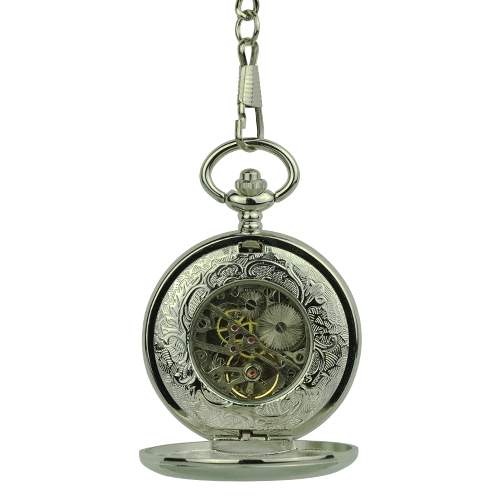 and an intricately crafted skeleton. 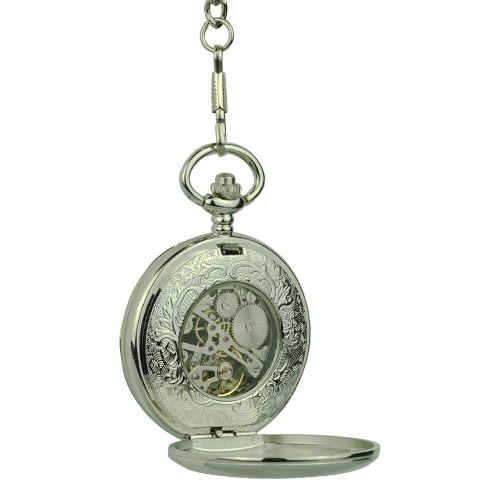 The back cover boasts French frame pattern and a window to view the gears and mechanisms.